Wow, summer is almost over and we know you want to enjoy every last minute. So, we made sure the Sweet Pea Block for August was easy to make. This block measures 6″ square when finished and uses 3 fabrics. 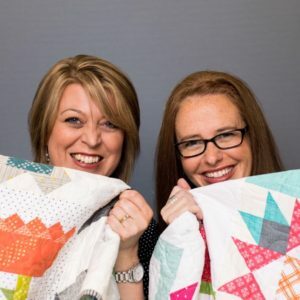 You will need to make 5 blocks to complete your quilt. Remember, you can join the fun at anytime and have not yet grabbed the Heartland Heritage pattern, be sure to check our retail partner list to find a shop near you or check out our on-line store here. To keep you inspired, here are two of our finished blocks. Amy and I pulled scraps from our fabric stash and can’t wait to see what fabrics you stitch up. Now it’s your turn to share. Click the blue button to show off your Sweet Pea Block. 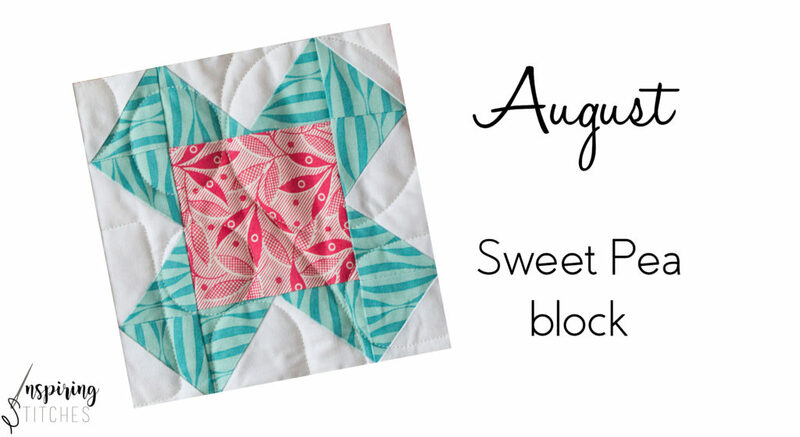 PS- if you are just joining us be sure to check out the Sewing Machine Block from July here and then mark your calendars because each month we will be back to stitch up a fresh new block of Heartland Heritage.